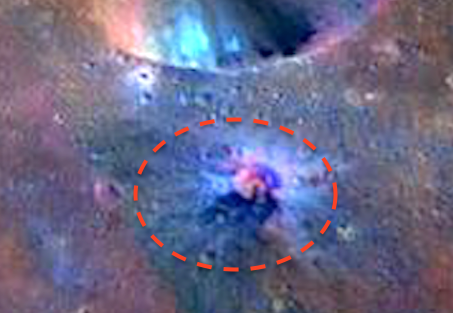 UFO SIGHTINGS DAILY: Alien Faces On Asteroid Vesta, Feb 2015, UFO Sighting News. 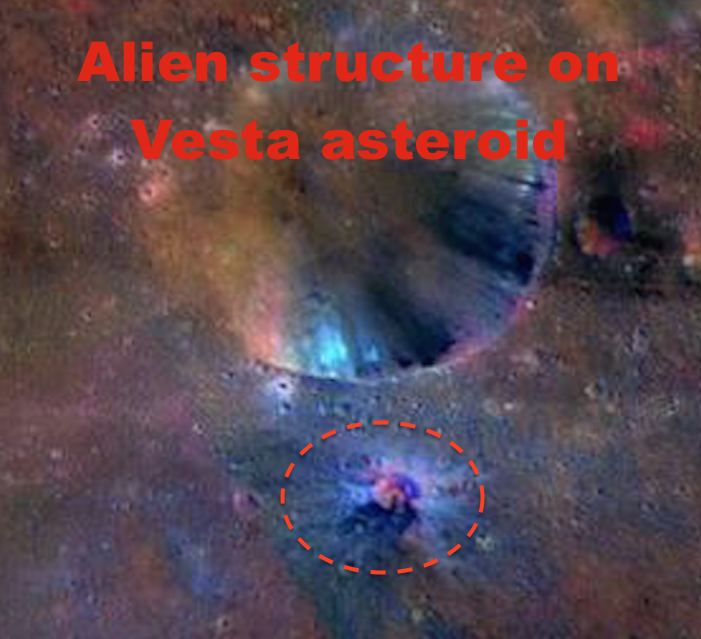 Alien Faces On Asteroid Vesta, Feb 2015, UFO Sighting News. 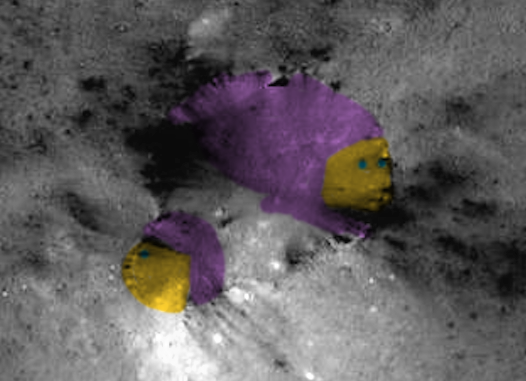 I was looking at recent images of Asteroid Vesta and found these two faces. 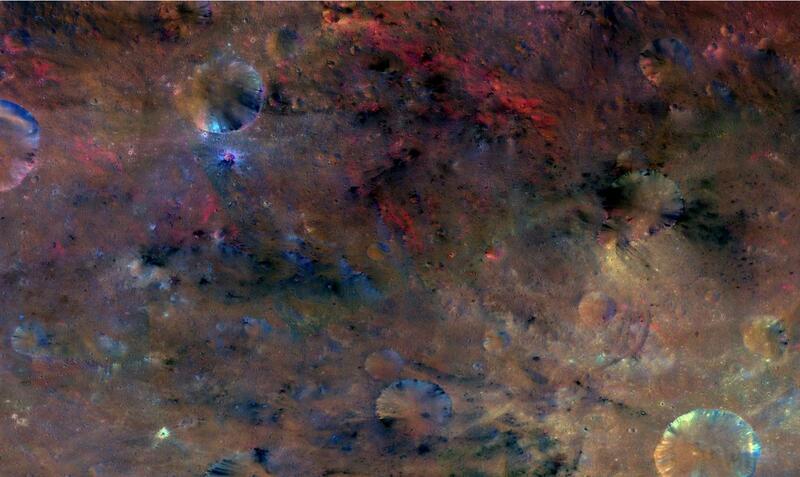 I colored it to make it easier to see, but the original is best. 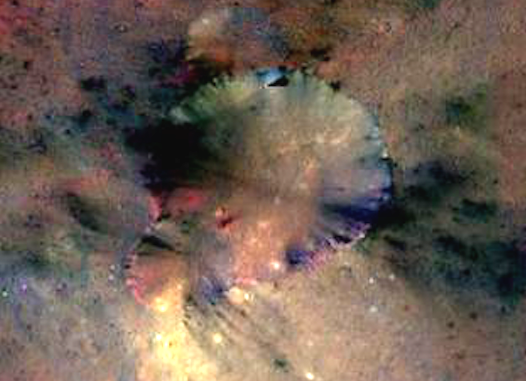 The face at the top is large and has a long head. Its face is purple as so is its neck and probably skin. 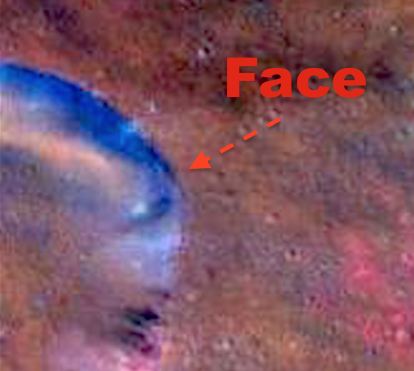 The second face is right below it and looks to be a child of the alien species. 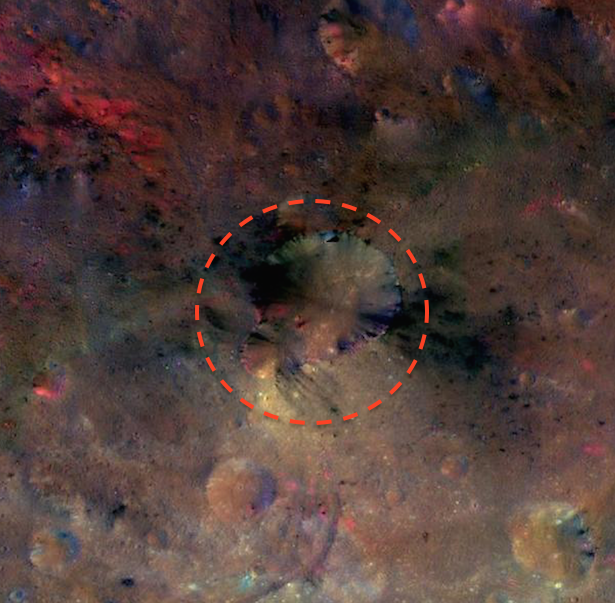 Its face is less defined, but obvious. The childs face is more rounded, chubby in appearance, explain below its neck area. 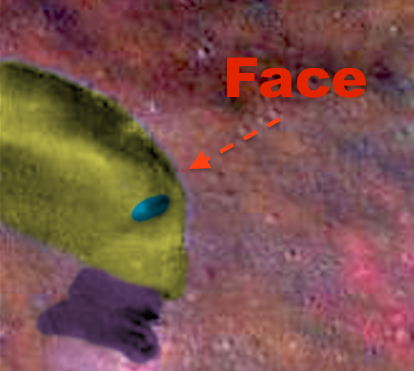 Instead of purple skin its face seems orange and its top of head purple with a much shorter cranium compared to the parent.